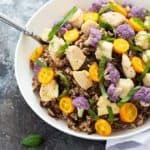 Here’s a quick and easy dinner that’s amazingly unique yet incredibly simple: Sautéed Chicken and Purple Cauliflower Over Rice. Today’s recipe is sponsored by Bertolli®. All opinions shared are my own. 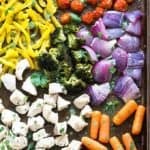 I was recently asked to participate in #TheRecipeisSimple challenge using a few designated ingredients… of course I jumped at the opportunity because I love a good challenge. 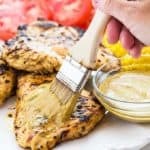 If you’ve followed the blog for a while, you also know I love simple recipes and cooking with olive oil. 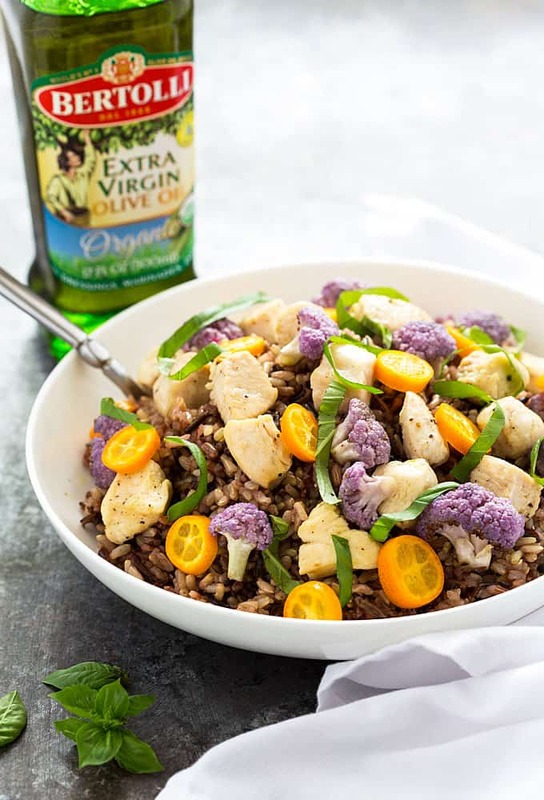 Olive oil isn’t “just another ingredient”, but the star of every dish with the intense flavor of Bertolli Organic Extra Virgin Olive Oil. 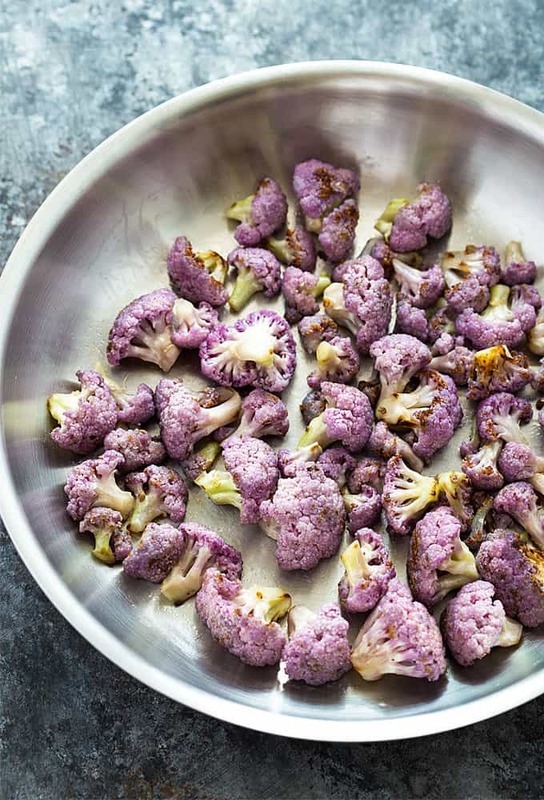 This recipe calls for beautiful purple cauliflower. I had no problem finding it right beside the regular cauliflower in my local grocery store’s produce section. It tastes exactly the same as white cauliflower to me, but the color is so vibrant and beautiful! I sautéed using Bertolli Organic Extra Virgin Olive Oil, which in non-GMOand verified USDA Organic. 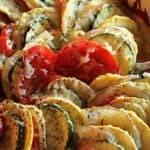 The full-bodied flavor is great for sautéing, grilling veggies, seasoning meats and flavoring pastas and marinades. Bertolli is the #1 oil brand in the WORLD with over 150 years of expertise in olive oil blending. Be sure to grab a bottle at your local grocery store or check out Villabertolli.com! 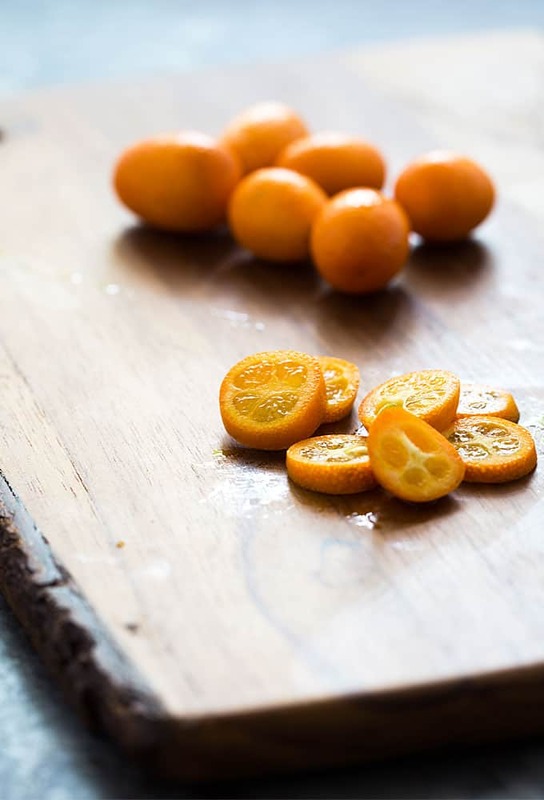 And these little kumquats are packed FULL of flavor! The skin is sweet and the fruit is sour and tangy. 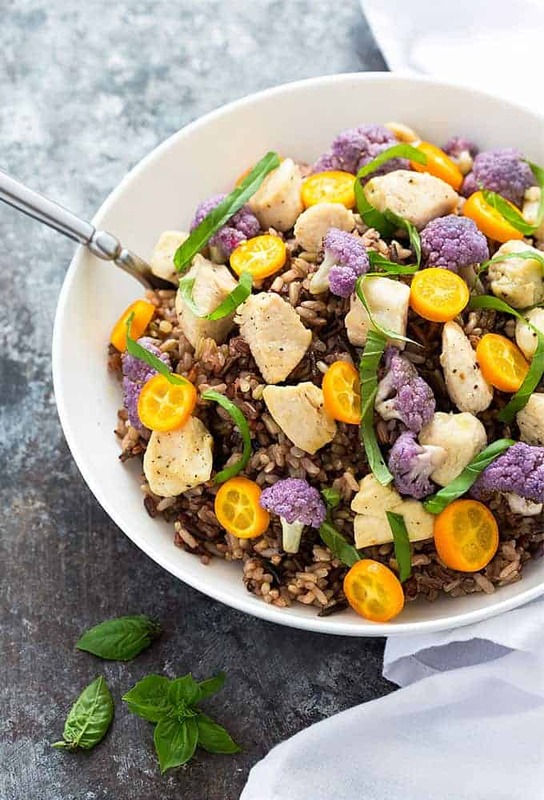 There’s so much flavor going on here with hearty wild rice, juicy chicken, crisp-tender cauliflower, tangy sliced kumquats and sweet basil. Bertolli truly inspires simple, yet unexpected dishes! Heat 1 tablespoon of the olive oil in a large skillet over medium high heat. Add cauliflower and sauté (stirring occasionally) for 5-6 minutes until crisp-tender. 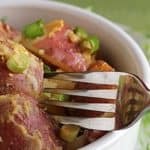 Remove cauliflower from skillet and set aside. Return skillet to burner and add the remaining 1 tablespoon of olive oil. 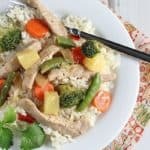 Add cubed chicken and cook for 5-7 minutes, or until cooked thoroughly. Add cauliflower and cook an additional minute, or until warmed. 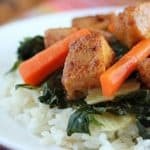 Serve over cooked rice with sliced kumquats and basil.